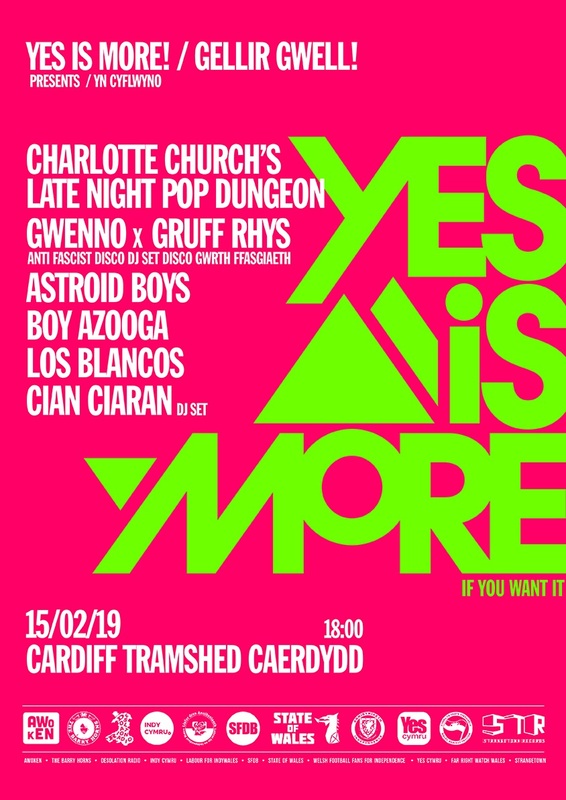 Nation.Cymru is giving away two tickets to the Yes is More Welsh independence concert. Charlotte Church, Super Furry Animals’ Cian Ciarán and Gruff Rhys, Gwenno and Welsh Music Prize-winners, Boy Azooga will perform at the gig. They are among an alliance of Welsh musicians gathering to stimulate new debate for an independent Wales and advocate for ‘Yes’ in a referendum on exiting the United Kingdom. Tickets can be won for the Fri 15 February 2019 concert at the Tramshed in Cardiff by liking Nation.Cymru’s Facebook page, sharing the post and tagging a friend in the comments. Under the banner ‘Yes Is More!’ the artists will launch a series of planned creative events targeting “the sustained threat of a reckless Westminster government to long-term interests of Wales’ embattled communities,” they said. Furries keyboard player, Ciarán, is one of the driving forces behind the first concert and is a known supporter of the Welsh independence movement. As well as being fueled by discontent at the acute centralisation of Wales’ future amidst the Brexit crisis, Cian Ciarán said he had gathered the support to consolidate and build on the growing interest in Welsh independence. “There comes a time where opinion on something like support for Welsh independence breaks out from the ones you’d expect to be involved in the debate, the politicians, activists, the commentariat, and just becomes common sense,” he said. “Yes Is More wants to showcase some of that. “There is a proud tradition here in Wales for standing up for what’s right, we have produced pioneers and visionaries. “From the Chartists and Merched Beca to, more recently, the 70-year-old NHS and the Welsh Comprehensive educated whistleblower Chelsea Manning. “As was the case during the Merthyr riots and the birth of the red flag these were hard-fought battles and we need to show that creative spirit once again. 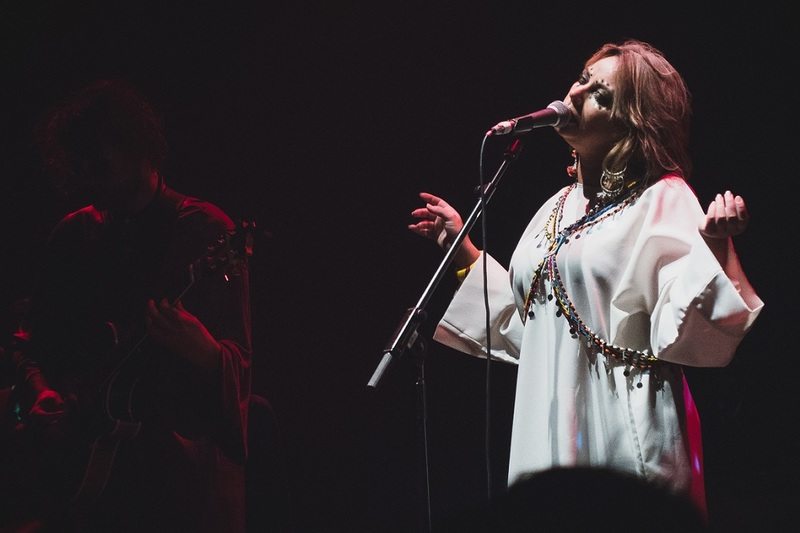 Having previously shared a stage in support of the Peoples Assembly in the run-up to the 2016 general election campaign, members of the Furries catch up with singer and activist, Charlotte Church, to make their voices heard again two years on. Joining the line-up is Cardiff grime/punk band, Astroid Boys, performing tracks from their 2018 debut, Broke. Another band that’s currently re-defining Welsh pop music, Los Blancos, will kick off the night. Gwenno said: “What if there are other ways of co-existing? What if we can organise ourselves differently? “There is an innate anarchy to art and an absolute potential in utilising it for the good whilst imagining better futures. Gruff Rhys added: “Flags, anthems and nationalism for the sake of themselves are cultural dead ends and should be kept for ceremonial sporting events. “The beauty of music (and art) on the other hand is how it acts as a precious and secular space beyond the rigidity of politics and nationality where opinions can be discussed and society mirrored, celebrated, ridiculed and criticised. Elin Davies, the co-organiser, said: “We need to normalise talking about independence and not have it treated as some quirk by the unionist parties both in Westminster and Cardiff. 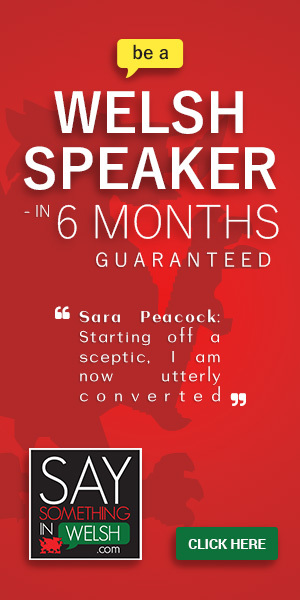 “To theorise is all well and good but there are real practical issues that we need to start discussing. We want to get the conversation started, to get people thinking and talking about the Wales that we want to live in. 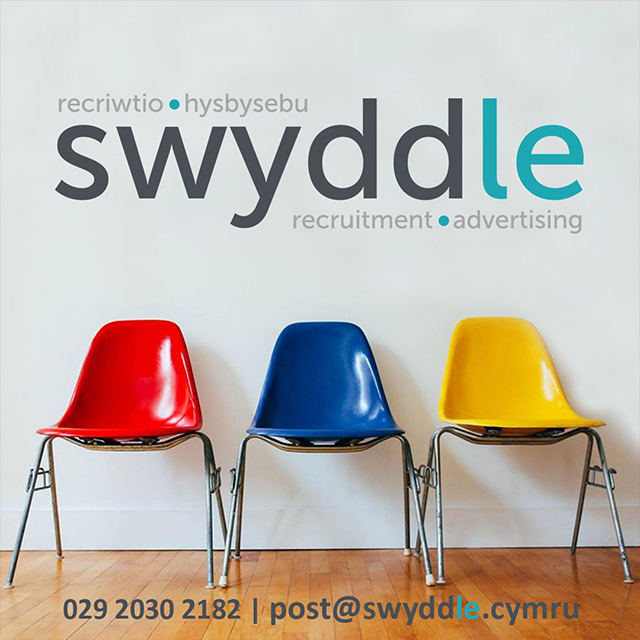 “What could we do better or differently in an independent Wales? There is so much more that we could do and be. We’ve got so much more to offer. The event will coincide with the real countdown to Brexit, a matter of just weeks ahead of a potentially disastrous exit from the European Union for the people of Wales. Yes Is More highlights the anticipated looming crisis for Wales. The group of supporters of Welsh independence are looking tentatively at the potential political repercussions should the UK successfully implement Brexit and break away from the EU. Gruff Rhys said: “We choose a hopeful, compassionate debate and fear that complacency could risk Wales becoming both a figurative and literal toxic dumping ground for bad ideas.